Don’t miss this exciting year-long treat. Head over to your nearest Baskin Robbins outlet located at the Central Square and SM Aura in Bonifacio Global City; Greenbelt 5 and Glorietta 5 in Makati; Fairview Terraces; and Trinoma Mall in Quezon City. Baskin-Robbins has also opened new stores in SM Southmall, Las Pinas and Solenad, Sta Rosa Laguna. 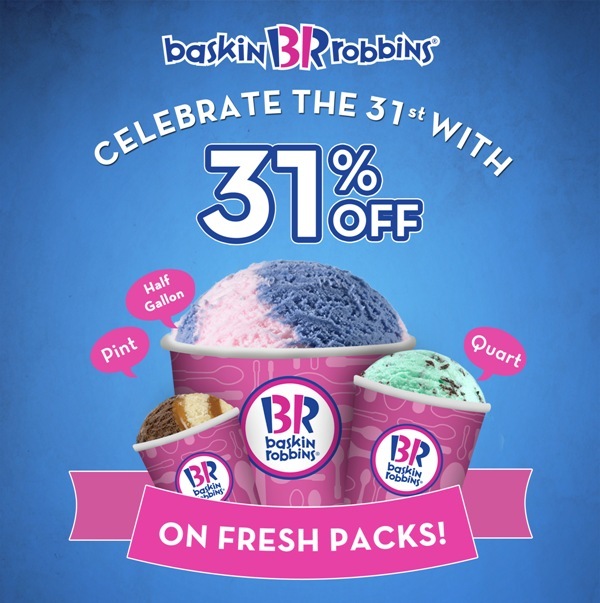 For more information, log on to www.baskinrobbins.ph or check out their accounts: facebook.com/baskinrobbinsph, Twitter, and Instagram @baskinrobbinsph.